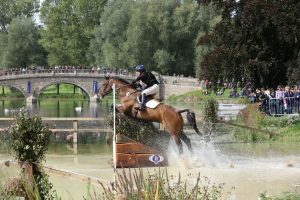 The 2017 British Eventing Annual General Meeting took place on Friday evening during the KBIS BE Young Horse Championships at the Osberton International Horse Trials. With it came the appointment of a new executive director, some long-awaited updates on the ongoing IT Project, and a surprising insight into membership engagement, writes Tilly Berendt. Chairman Paul Hodgson led the AGM and made mention of the hard work done by board members Tim Holderness-Roddam and Giles Rowsell, both of whom are coming to the end of their terms. “We will certainly miss their experience, wisdom, and knowledge – although I’m not sure about their jokes!” he quipped. Team GB’s great success at the European Championships was commended after an intensive period of change following last year’s Olympic Games. The change in team management, now ably led by Chris Bartle and Dickie Waygood, and the new team of selectors was cited as the ‘significant change and firm foundation’ that the team needed. “They bring confidence, trust, and a winning culture,” said Hodgson, before affirming that this will ‘cascade through to the other teams’ in a plan of action that will evolve through the winter. He went on to cite the strength in depth of senior-level team candidates that Great Britain boasts, saying that there were enough worthy candidates that a B team could have been sent to Strzegom and been equally successful. 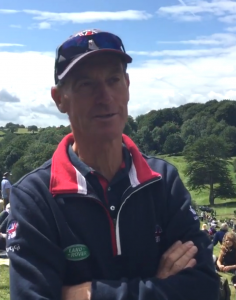 The team behind the SsangYong Blenheim Palace International Horse Trials were praised for the presentation and accessibility of the competition, and the Event Rider Masters series was noted as having made a great contribution to the sport. One of the hot topics of the evening was the ongoing IT project, which is projected to modernise the BE database, allowing for comprehensive and easy use both on the public-facing side and behind the scenes. The current systems are 20 years old and require external sources – such as BDWP – to manage entries. The project is being managed in four ‘releases’: release one, the database system, went live in December 2016, and release three, the risk management sector, is currently being used in conjunction with statistics company EquiRatings, whose EquiRatings Quality Index, or ERQI, looks set to become the industry standard over the next few years. Release four will be the new and improved BE website, which is aimed for a spring/summer 2018 release. 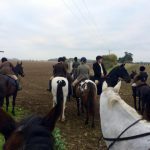 It is release two, the entries, admin, results and scoring system – referred to rather charmingly as ‘EARS’ – that is causing some consternation. It is this release that has run over budget and past deadline, with some concerned members wondering what the spending limit will be if the limit proposed has already been exceeded. 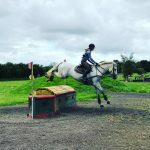 The platform, which will be field-tested and trialled through 2018, is expected to come into play in 2019 and become the platform of choice for British Eventing by 2020. 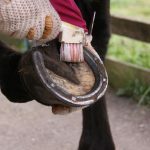 It was emphasised that getting the system right could provide another avenue of income for the organisation if other governing bodies decided to adopt it. 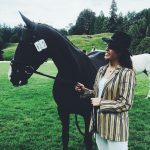 Another major concern that was addressed was that of the major structural changes going on with the British Equestrian Federation. 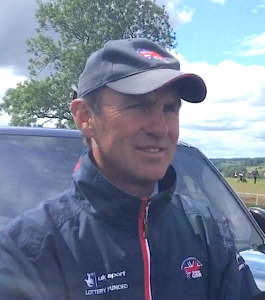 He went on to explain that in the spring of this year it became clear that the BEF’s structure wouldn’t be sufficient to secure this necessary funding, and the dressage and showjumping governing bodies felt the same way, claiming no confidence in the committee. Currently, new appointments are being made to the board ahead of the imminent deadline at the end of this month. 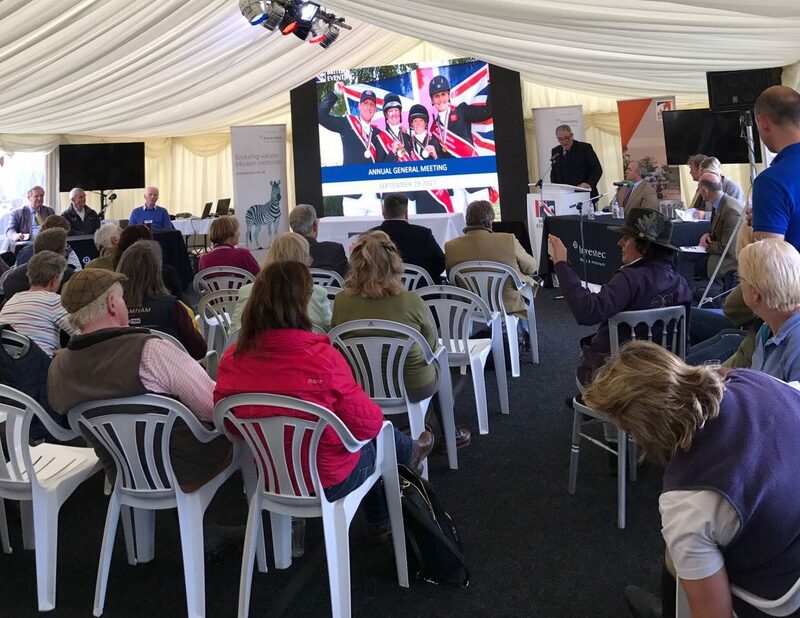 Crucially, each discipline will now see an appointed representative on the BEF board, to be announced after an Emergency General Meeting on the 18th of October, although the chosen representative for BE couldn’t be named at Friday’s AGM. “I’m nervously confident we can make the deadline, avoiding a negative impact on the World Class Programme,” said Hodgson. Jane Peters, who has chaired BE’s Under 18 programme since 2010, was elected onto the Board of Directors, winning by a small margin of just 37 votes over popular candidate Peter Cattell. Jane has a long legacy of experiencing working with younger riders, both in the Under 18 programme and as DC of her local Pony Club branch. She hopes to bring increased awareness of the needs of this group, and an increased commitment to Training and Education programmes, to the Board. Operationally, BE reported a successful year, with £100,000 in surplus income to add to the reserves and, for the first time ever, 16,000 members. 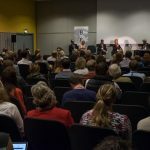 However, the celebrations over increased membership only served to highlight how few of those members engaged with the board elections: approximately 960 people, or roughly 6% of BE members, cast a vote. With the process made easier than ever – a mere click of the button – it’s clear that something must be done to address voter apathy and increase engagement.